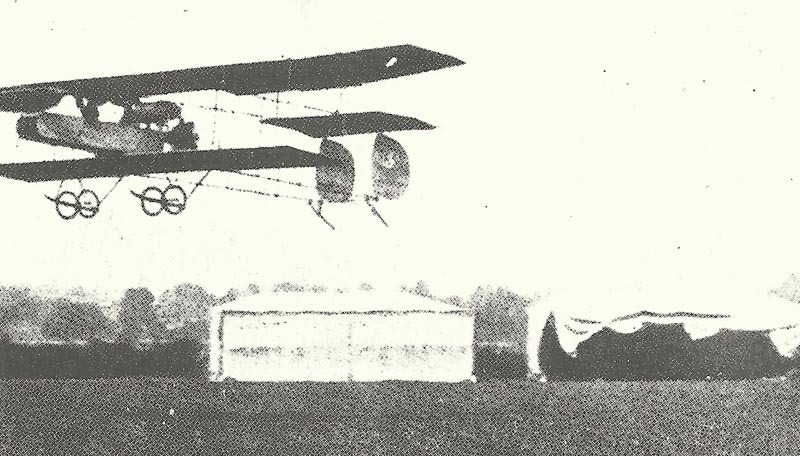 A Short pusher instructor biplane taking the air from a RFC training ground. Britain: Royal Flying Corps has taken 2,568 aircraft into service and struck off 1,427 in past year or 47.7% wastage. 8,403 aircraft on order (2,970 delivered); 15 training stations with 193 all ranks under instruction. Verdun: Germans carry French forward positions on Hill 321, 4 miles from Fort Vaux. Nivelle’s reserves down to 2,000 men. Tranchee des baionnettes (Ravin de la Dame, c.20 French infantry men of 137th Regiment buried with bayonets fixed) caused but French 21st Division holds. Brusilov offensive: Brusilov reports 192,992 PoWs, 216 guns, 645 MGs and 196 mortars captured. First of 4 corps until June 24 reinforces his troops. Bukovina: Austrian XI Corps only has 3,500 out of 16,000 soldiers left. Salonika: Sarrail ordered not to involve British in offensive and then to postpone it. East Africa: British occupy Wilhelmstal (570 German civilians surrender). Belgian Southern Brigade beats 700­ strong German rearguard at Ngawiogi. Adriatic: Italian destroyers raid Perenzo, Istria.